The Thomsen baby pillow made of breathable Vita Talalay latex or optionally made of special foam. Due to the special 3D contour cut the cushion is very soft and provides an optimal hold for the positioning of the head. 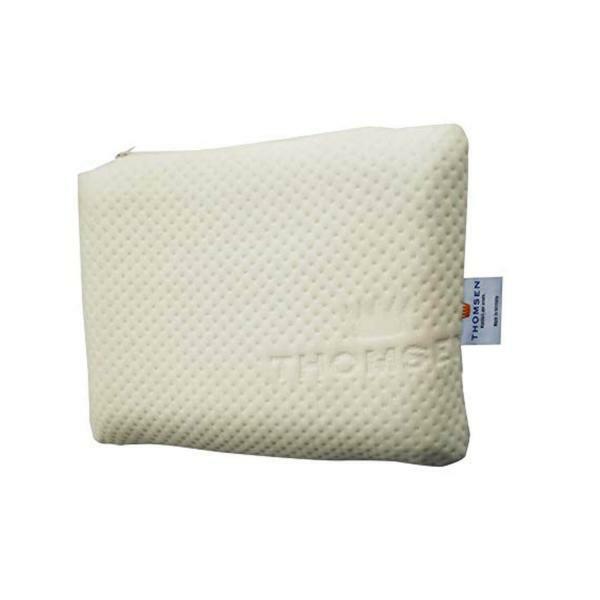 The Thomsen Baby Pillow prevents head deformation or, if deformation already occurs, helps the baby’s head to normalize. 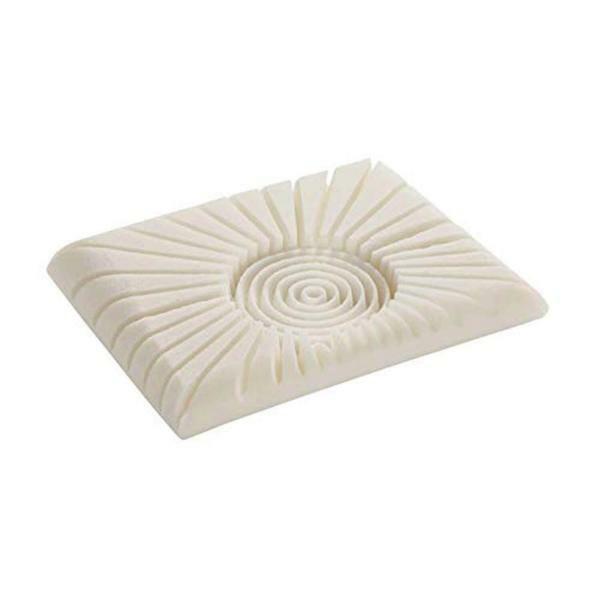 Due to the 3D contour, the Thomsen baby pillow supports the baby’s head without pressure. The prefabricated head recess is chosen in size so that there is enough room for the curiosity of your baby. If Head Deformation Already Exists: After falling asleep, place it on the Thomsen Baby Pillow with the undeformed head side. 3D Contour Cutting The elaborate 3D Contour Cutting process provides air circulation in addition to the breathability of the material. If head deformation is used, in addition to using the Thomsen baby head pillow, ask your pediatrician for advice. Cotton jersey cover 100% cotton single jersey. Cotton jersey is a very breathable cover. Best Breathability The round open cells and thousands of ventilation channels create optimal air and moisture regulation with an antibacterial effect for sleeping comfort. The open cell structure of Talalay Latex controls body heat during sleep. The excellent air circulation allows body heat to evaporate optimally and keeps you warm in winter and cool in summer. Talalay Latex keeps pillows clean and hygienic. It is naturally antibacterial and prevents both mold and mite formation. In addition, Vita Talalay Latex does not have a closed shell due to the special production process. That’s why the pillow can breathe. This has a refreshing effect. Vita Talalay has been awarded the ÖkoTex standard 100.